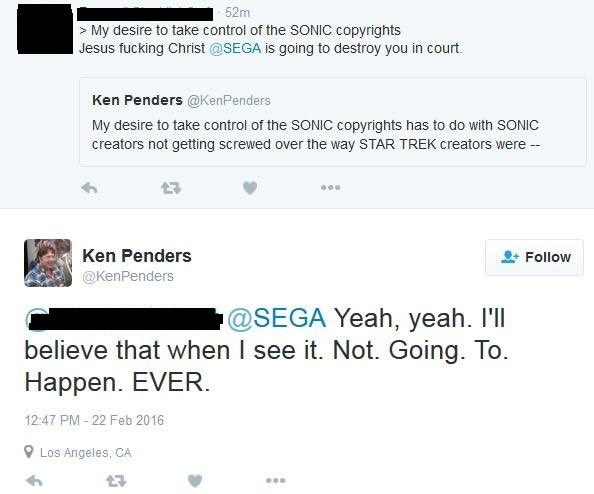 The Twitter messages from Ken Penders have resurfaced with a new tweet, and it’s a big one. I've decided to bite the bullet & purchase the copyrights of the work by any & all SONIC freelancers who didn't sign a contract with Archie. @DoritosPlebs The offer is out there, and I've already been contacted. I've got lawyers who can prepare the paperwork. — when IDW reprinted work created for DC Comics originally and didn't pay creators the royalties promised in their contracts. And it's not just IDW. Other publishers are reprinting work originally published elsewhere without paying royalties owed the creators. Sonic Boom Game Near A $20 Million Budget?